Lee Dong-Wook & Yoo In-Na previously worked together in 2016 tvN drama series "Goblin." First supporting cast members announced for tvN drama series "Touch Your Heart." Tuesday Apr 17 2019 5:55 am This drama is oozing with chemistry from the two leads -Lee Dong Wook and Yoo In Na. I have been following them since Goblin series. I am glad they were given this opportunity to work together again. I appreciate all the supporting casts because they were equally and individually performing well. 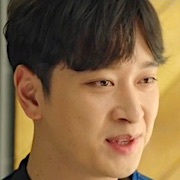 Dong Wook was in character as a serious attorney who doesn't smile often until In Na taught him how. In Na's acting really fits the romcom genre. Although this Kdrama was a romcom, it didn't fail to give us a legal drama-feel as well. There was no dull moment in this series. I love every scene and even the side stories all had some connection with the bigger plot. Good job! I hope to see these two actors star in another series again. They truly deserve more Kdrama together! Shen Apr 16 2019 7:45 am They are good, love them both hope to see them more in movies together they have chemistry I wish to see them again ❤️? Shine TL Apr 11 2019 9:47 pm I was so excited to watch this 'cause I loved them in Goblin but I was disappointed with the story. The chemistry was on point but the story was so boring. I just finished it because of the leads but overall this was so meeeeeeh. Female_human Apr 08 2019 5:57 am started funny and cringy but still fun to watch, and I don't mind the female MC acts dumb and cute all the time, then the female MC started to becoming more annoying, more weak, and soooo possesive -_-"
mashihox Apr 03 2019 11:12 am If you love cliche, predictable drama with boring and annoying characters then this drama is perfect for you :) I'm quite a fan of rom-com dramas but this one is just a waste of time ?‍♂️ I can even guess what the lines are, smh. This is just my opinion thank you, next. coco Apr 02 2019 8:30 am This drama will surely touch your heart. It shows what a real and healthy relationship is. There will be some episodes that will break your heart! Great actors! Will watch it again soon. Mustafa Apr 01 2019 2:32 pm Absolutely a beautiful drama, enjoyed it till very end. Not intense but very deep emotions portrayed, well made. castlin Apr 01 2019 10:41 am light rom-com / recommended for beginners and having a trouble in their lovelife :) People love this no. 1. because of the cast.. Lee Dong Wook and Yoo In Na.. OST - 8/10 Storyline - 8/10 But its good... its good drama. Catya Mar 30 2019 9:37 am I enjoyed this drama. It was a nice sweet, easy going romance. The only thing that I wished would have happened was that the writers should have done more with the crazy stalker story line. Other than that, this was a great drama. Cheechiii Mar 30 2019 9:32 am I just finished watching this drama and it is soooo good. The story really has no conflict which is good for me. Dongwook and Yoo Inna already had a natural chemistry since'Goblin'. I hope they can be together in their next project. Wishing that they could end up together for real. ilovebigbang Mar 30 2019 7:24 am I love this drama verryyyyy much. The actors are good and they have good chemistry specially the two leads. Ms dan and mr choi are so funnyyy and they have good chemistry. The two prosecutors they dont have chemistry yeorum is too dry shes no fun. Yeorum and sewon boring scenes. maricel Mar 30 2019 6:05 am OMO! Why this has to end so fast?!?! I really, really, really love Lee Dong-Wook and Yoo In-Na chemistry and loveteam! I just hope that there will be next time for the two of them! And I really Pray that they would end up together FOR REAL! ♥♥♥ Though, I feel sooo sad that #TouchYourHeart has come to an end.. ='( I'm gonna miss these two #KwonJungRok And #OhJinSim along with all the cast. Congratulations to all the cast, directors and scriptwriter of this KDrama! One of the best Korean #RomCom ever! Betsy Mar 29 2019 12:36 pm Why the low ratings??? This is by far one of the best Korean romance drama I've ever watch. From Goblin to this drama is like a gift sent to us. They deserve a high ratings, anyway international fans supports these two lead characters. Seems like koreans don't like to watch this kind of decent romantic dramas. Hoping and praying for season 2. ? Touched Mar 29 2019 11:16 am This drama super cute!! Falling in love with all of the characters, song, and story. Me just like a simple drama without complicaited story line hehehe. So this drama is really fres and, this drama will touching ur heart for real ughh ? Lola Mar 29 2019 10:15 am High rating, pls! Lee Dong Wook look strikingly handsome and Yoo In Na is really gorgeous. They are so good together. More!!! Tans Mar 29 2019 12:53 am After watched the last eps this morning, I'm glad that this drama have a very nice ending. I'd love to watch another Lee Dong Wook and Yoo In Na's drama as a lead. They have a very realistic chemistry, so as a viewer, we all hope (wish with all our heart) they would end up dating in real life. I'll miss waiting this drama every week and smile every time I watch it. Be A Couple in real life Please??? Hmmm Mar 28 2019 10:02 am The actors are really charming. The actors and producers really lifted the plot. Not bad but quite good. I do think most people will like this drama. Hmmm Mar 28 2019 9:15 am It was not really my cup of tea, maybe because I'm not into these type of dramas? It's your typical relationship drama however I found parts of it quite intriguing, but i was not hooked into it overall. I skipped certain parts and felt like it was predictable. If you are really into romance, this might be for you. The acting and production was good tho. 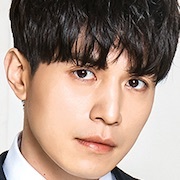 Leedongwook big² fan Mar 26 2019 9:01 am Aww I love Lee Dong Wook so much, his acting skills is beyond good. I laugh alot. Lee Dong Wook oppa go go go go go go. Fighting. Sangranghae????? Shekinah Mar 26 2019 7:03 am I soooo like their tandem. Why is the rate soooo low? I fell in love with this movie.. Gosh! Angelica Mar 23 2019 11:49 pm It really touches our hearts. Linay Policarpio Mar 23 2019 5:21 am Great drama. Both leads Lee Dong-wook and Yoo In Na are good and so as the rest of the cast. They are so funny! I am so in love with the story so as with the two leads. Keep it up. More power. Leng Lopez Mar 22 2019 1:21 pm It was a great movie! ? The actors are good with their own chemistry. Watch "Touch Your Heart" ? KittylovesDI Mar 22 2019 8:50 am I'm in love with this drama so much. This is soulful and relatable. Its so entertaining and it became my habit for the past few weeks. I swear I never skipped a minute nor an episode because the scenes were organized so well. Legal scripts were done perfectly, I never got bored. The two leads Lee Dong-wook and Yoo InNa, they've touched my heart with their excellent portrayal of true, selfless and pure love. For me seeing them together in a sweet romcom like this is the best thing I've ever witnessed in a Kdrama. I'm deeply impressed by their acting, visuals and feelings.. to the extent that I could no longer imagine seeing them paired with other actors in their future projects, they are really perfect together. The supporting casts are lovable, funny and great actors also. They cracked me up with their hilarious antics, plus the background scores are also perfect. You see, i believe this drama deserves more acclaim, eventhough the story seems cliche but i don't care about that much because I'm more into the lead pair's beautiful on and off screen chemistry and that paid off and made this drama so endearing to watch. I love the way they played with my emotions as the episodes come and go. They all feel so real. Kudos TYH team! Thanks for entertaining me. I hope LDW and YIN would pair up again in another drama. ran Mar 21 2019 10:54 am i love it all the way! its so underrated but i dont care, as long as i see both of them im happy. Karres Mar 21 2019 9:04 am Wish Come true???... Lee Dong Wook and Yoo In Na being together and the Lead Actor and Actress of this drama makes my heart fluttered... Congrats and i love You both??? John Mar 20 2019 11:00 pm Anyone know the name of the outro song in episode 13? Lore Mar 19 2019 1:25 pm Awaiting episode 13, how could be episode 12 is so upsetting ? Reggil Mar 19 2019 12:18 am OMG! I really love Lee Dong-Wook & Yoo In-Na being together ?? I'm excited for the next episode. Ep 12 was so heart breaking ? You're one of the best love team here in the Philippines ❤? jpl Mar 19 2019 12:06 am @td, its okay, they are just parodying the other drama cause it is popular, they are not copying it. the storyline is different. the acting is good. Td Mar 18 2019 11:19 pm It is one of the worst dramas I’ve ever seen, especially the female lead. She tries to act cute but it’s just annoying. She can’t act at all. The male lead is ok. He was a better actor in other dramas but in this one, disappointing! The drama overall was trying to imitate Descendants of the Sun (the scarf flying away) and What’s wrong with secretary Kim (blowing on the cut) hoping to get good rating but it just flopped due to bad storyline and acting!!! Thumbs down all the way!!! Don’t waste your time watching it! jilcel Mar 18 2019 6:13 am Why is Deity not giving them a chance to live a happy life together in their 3rd life? I felt heart broken when they broke up! :'( I hope they will come back with each other's arms and have a happy ending! I wish the scriptwriters and directors will give a much deserve ending for this Awesome, Entertaining and Fantastic RomCom Kdrama! Touch Your Heart deserves more than a single digit ratings! Love every scene with Lee Dong-Wook and Yoo In-Na together! I also wish that this is more than just 16 episodes to watch more sweetness and cuteness of these two together. Guiltypleasure Mar 17 2019 8:12 am We got comedy, we got romance, we got cuteness, we got thrilling case, we got action. Complete package . It so entertaining !! GC Mar 17 2019 6:57 am awwwww end of Ep 12 is so heartbreaking..... I can't wait for Ep 13.
candybar Mar 15 2019 2:14 pm There are many genres of drama. Among sweet, fluffy, unpretentious yet satisfying romances Touch your Heart is at the very top. This drama is like a modern 21st century Korean version of the light-hearted operettas of the 19th century in Paris and Vienna. You watch, you smile, you enjoy every moment of the story and you go home rested and happy to have forgotten for a moment the ordinary demands of daily life. More than its thin plot, the success of this drama is almost entirely due to the beautiful, versatile and convincing acting of Yoo Inna and Lee Dong-Wook who bring each other to higher and higher levels of acting. The renaming of demoralized and confused actress Oh Yoon-Seo as trainee legal secretary Oh Sin-Jim by her unsmiling, work-alcoholic, successful lawyer boss Kwon Jung-Neok sets us on the path of this new adventure: Miss Sincerity Oh! Indeed the two heroes of the drama have been so absorbed by finding success in their respective careers that they have not dated anyone yet. Initially, actress Oh Yoon-Seo is a lively, confused, insecure - but sincere - mess because her acting career has been wrecked by a scandal two years earlier. 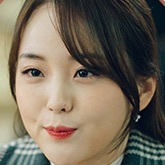 Prior to that disaster, shallow Oh Yoon-Seo's acting was generally considered very bad. She thought that having a pretty face and smiling mindlessly to her public was what acting is about. Indeed, her camera-friendly face, beautiful body and smiles without depth had been extremely successful in major commercials selling chocolate bars and other consumer products. Before the scandal who ruined everything, Yoon-Seo was unthinkingly happy because she felt very popular and "loved" by the public. At the story begins, Oh Yoon-Seo is flailing in every direction and a chaotic mess because she does not know who she is anymore and is desperate to get an acting role again. She is more than ever totally dependent on the CEO of the agency that manages her career and on her day-to-day younger manager. Her only remaining strengths are her genuine sincerity in everything she says and her spontaneous kindness to everyone in everything she does. Actress Yoon Inna does a beautiful and very intelligent acting job in the role of this thoughtless young actress whom we see grow up and find who she really is through her first "office" date with her socially inexperienced but innately very decent and equally sincere boss. Lee Dong-Wook is also very good and an excellent match for Yoo Inna. At times, I have the impressions that he so thoroughly enjoys the brilliant and warm acting of Yoo In-Na that his smile comes from very deep and are genuine. The drama is not over. In Episode 11, the use of movie Roman Holidays to trigger a voluntary breakup by lawyer Kwon is enough to create suspense and keep us curious and happy. In fact, Lee Dong-Wook as a Korean parallel of Gregory Peck is an intriguing idea. A happy drink will be order at the end of this sweet story! Ace Mar 14 2019 1:12 am I recently commented about the drama and now I have an update. The drama is definitely getting heated now, especially since ep 11. Can't wait for the remaining episodes. The antagonist, Lee Kang Joon, is pretty terrifying and I hope the plot strengthens henceforth! Touch Your Heart, fighting ! Ikdotinchar Mar 13 2019 7:50 pm Yes! who else finds the antagonist CEO Lee Kang joon. He is Sooo Handsome! ??? Migthy Thor Mar 13 2019 3:50 am This drama is oozing with so much sweetness! The chemistry between Lee Dong-Wook and Yoo In-Na is so natural and spontaneous. I love every scene that they are together. I just super enjoy watching this drama !!! Farah Mar 12 2019 11:35 am I love this drama so much !! My first and last fav drama ever ? really love to see my one and only fav male actor Lee Dong Wook acting in this drama with this beautiful actress ♥️ what a romantic pair ever .. HOPE TO SEE MORE UPCOMING ROMANTIC DRAMA WITH LEE DONG WOOK TO BE THE MALE LEAD ACTOR !!!!! Shantel Mar 11 2019 4:28 am Ommo!! Jay is so handsome! Seri Mar 10 2019 3:47 pm I absolutely love this drama, not only because of the star studded cast but also for their chemistry. It is so fluffy and light. This couple is absolutely the best too. In my opinion, they are realistic in terms of understanding each other and resolving problems rationally. It is also funny. (Especially the second couple) I know that it will become more ‘heavier’ later witt drama abd thriller. It is also relatable. 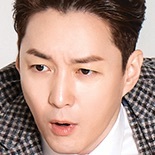 And people might say that Inna and Dongwook’s acting. Here might not be their best But I will oppose. It is absolutely appropriate on their roles! If you are looking for a drama, Touch Your Heart is worth it!! 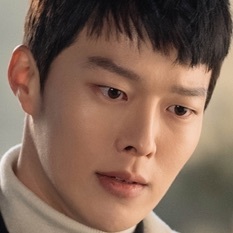 Bad Mar 10 2019 11:05 am Bad drama bad writer bad acting, this shown is bad even encourter was better ( i didn’t like this one too) yoo in ah doesn’t no know how to be funny she overact and lee dong wook as always has only one expression and his character doesn’t help he is too easy !! Rillasagara Mar 09 2019 7:37 am Love love love this drama.. yoo in na so cute??? Marf Mar 09 2019 5:59 am This drama is amazing especially the main lead actor Lee Dong Wook and the lead actress Yoo In Na. They are the cutest in every way. They are so adorable and their acting is natural with chemistry that’s over the moon. This drama makes me fall in love, laugh, cry, thrilled. This is good for the heart, a really feel good one. I salute everyone who work hard to have this treasured show. anner Mar 09 2019 12:52 am i super love this one . I cant help but laugh and smile at them . Joy B Mar 08 2019 10:47 pm love love love! ?❤️ This kdrama is two thumbs up! Its worth watching! ?? GC Mar 08 2019 9:34 pm Waiting for them to work together after Goblin. And Yeahhhhhh....finally Lee Dong Wook and Yoo In Na are main casts in Touch Your Heart. Yoo In Na is soooooooooooo sweet and cute in this drama. So does Lee Dong Wook, he portrays well in his character as Kwan Jung Rok. Both of them are so sweet and cute in their office romance. The CEO, Lawyer Choi and Lawyer Dan are funny too....hehe. So does the rest of the casts in the law firm. This is the only drama I am looking forward every week. I do not bother about the rating as well, as this is the best drama in first quarter of 2019. 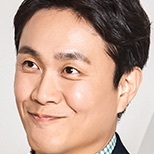 To Lee Dong Wook, Yoo In Na and all the casts, "You guys rock! Fighting!!!" chanyeol Mar 08 2019 5:41 pm i love Lee Dongwook and Yoo Inha so much since Goblin, but this drama is boring. I 'm sorry. Grace Mar 08 2019 8:11 am This drama is so good. Sn Mar 07 2019 6:58 am This drama good, make my mood happy. Every week i waiting for episod ??? Hwaitiiing team touch your heart !!! ldwyin1211 Mar 07 2019 12:08 am I love this drama, the story is light and makes me smile always when watching it. and I love this couple, Lee Dong Wook and Yoo In Na ... I don't care about ratings, because people's tastes are different, some like light plays but some like serious dramas. even though the drama ratings is up and down, the couple is very loved and has many supporters. now i understand that this was aired in a cable channel.. so the ratings is still amazing!!! Rochelle R. Garcia Mar 05 2019 8:55 am I loved the chemistry of Lee Dong Wook and Yoon In Na. R.Tan Mar 04 2019 1:30 am Even for dramas from cable TV, that rating is still low for most people as viewers may compare this series with Goblin. Honestly, I don't like Yoo In-Na acting this time, although I really like her as Sunny. jiren89 Mar 03 2019 12:36 pm This drama is awesome.. love romantic relations between Lee Song Wook and Yoo In Naa..their chemistry so lovely and hope they will have more project drama, film together in future..
Novita Mar 03 2019 12:22 pm I like this couple.. Pichi Couple or Heart Couple, whatever it is.. I fell in love with this couple (Lee Dong Wook and Yoo In Na)...and for those who say why this drama has a low rating, you are wrong, for dramas from cable TV, that rating is included as good. Jem Mar 02 2019 11:30 pm Soooo inlove with this drama!! 16 episodes are not enough ??? xyz Mar 02 2019 3:36 pm not that i dislike it ... but why is there so often the feeling of deja vu with goblin? Angel Mar 02 2019 11:56 am This drama is so fun!! Let’s keep in mind that in the drama the two have never dated anyone! So this is all new to them :) I love how the female character is straight foward. It keeps things moving fast instead of them having inner diaglogue all the time (“does he like me?? Does she like me??) They are just so excited to be dating and in love with each other. cherie Mar 02 2019 5:05 am this drama doesnt need to be heavy in all aspect, its good to be like a light feather as it is. just feeling the old feelings of starting to fall in love, being in love and staying in love...a feeling that doesnt need an explanation...just happy and in love???? Leanne Inot Mar 02 2019 2:19 am yes that was Jota as one of the interns ??? Shantel Mar 01 2019 5:37 pm I don't care about those cringy things thats the haters said because i still love them and excited for the next episodes about her stalker. The best part is not starting yet theres alot of people whos complaining like who cares if you dont watch.? whynot Mar 01 2019 8:37 am i really like this one. The main characters are sweet but I wished the female lead would act like a normal woman and not like a 6 years old. Jjongie Mar 01 2019 6:54 am Whose Lee Gang Jun stalker Oh Yoon Seo? I want to know their past.. Exciting for next week ep..
lee dong wook fan Mar 01 2019 3:07 am What are the names of the interns? They are really funny? missDee Feb 28 2019 6:57 pm was it just me and my eyes or that the junghwa intern is actually jota?? Meg Feb 28 2019 5:42 pm I’m wondering it it was Jota on ep. 8???? I’ve been waiting for him to come back in entertainment industry. Jk.krys Feb 28 2019 8:24 am I love the drama so much! ongmo Feb 27 2019 3:55 am i like this drama, i love both actor and actress they are super cute,please extend your episode. Jigme Wangmo Feb 27 2019 3:42 am i like this drama, i love both actor and actress they are super cute,please extend your episode. Novita Feb 26 2019 9:07 am i love this drama..
kurage Feb 25 2019 6:07 am Actually, for those wondering, these ratings are already quite good for a cable drama. Nurie Feb 24 2019 5:23 am I love this drama... i dont understand why the rating is to low. Lee Feb 23 2019 10:21 am Yoo In Na is soo cute in this drama. I laughed out loud at her comment "Men, somebody please help them" in episode 5. Her acting is phenomenal. She steals the show. Fifi Feb 23 2019 9:37 am I am so curious about Yoo In Na's character's backstory. She is clearly smart, hardworking, has a great memory, interested in law, but she dropped out of law school to become an actor. What happened? She seems like a warm, lovable, positive character who continues to try her best despite unfortunate circumstances, which also make her a vulnerable character. Makes me want to protect her. As for Lee Dong Wook's character, it's perfect. He accepts her flirtation and flirts right back. He's not a cold person. He uses law to provide justice to the oppressed. He is just serious, professional and a workaholic. This kind of character is so much more cool than the typical tsundere male lead. Rain Feb 23 2019 7:20 am So far this is one among the most touching drama that I've watch this year. I hope that after this drama they'll have another project together, because you can't definitely deny the chemistry between Lee Dong Wook and Yoo In Na. Fighting! Caroline Feb 23 2019 2:30 am Oh my. 16 episodes are not enough!!! I watched goblin just for them. Perfect together, they are mature actores and natural in acting, and the chemistry is great. Love them and my no 1 couple in kdrama for a long time to come. Billion Thanks to the team who brought them back and to them for taking he roles! Kim Feb 22 2019 11:29 pm My new fave kdrama! I love their chemistry and their acting. I also love the story. So romantic and comedy!!! I will give them perfect 100! Glacy Feb 22 2019 7:00 pm I think music is "meke it count - chen"
Grace Feb 22 2019 5:30 pm It is hilarious, cute, and touching. You will love this if you watch Secretary Kim. I find the storyline is more interesting. Joycee11 Feb 22 2019 5:20 pm Back in Goblin, i am shipping for In-na and Dong-wook already. They have good chemistry and superb portrayal of their characters. In the last episode of Goblin where Wang Yeo ang Kim Sun was reincarnated, they were partnered in a situation that Dongwook was an investigator ang In-na was an actress going along with the investigator to study her role in her next movie. Its somehow similay to the synopsis of this Kdrama. It seems to me that the Gods in the Goblin took pity on the grim reaper so they gave them the chance to live and have a normal human romance!!! This one is truly refreshing!!!! Choy Feb 22 2019 9:37 am I totally agree with you Safira. Even though there were no kissing scenes, the drama makes me giddy. This drama is so cute and funny. Looking forward for the next episodes. Safira Feb 22 2019 1:00 am wow seriously you cant go wrong with tvn's romcom! this drama makes me hooked from the first episode. a little bit slow but thats what we called Slow Burn Romance. love the main leads! their acting is superb! can't wait to see the next episodes especially for the kiss scene. all the actors portrayed their characters very well. this drama deserves higher rating. Bucinnya TYH Feb 21 2019 9:29 pm I love this drama so much. Really sweet and fresh. I also want to thank to the writer, PD-nim, and also all the staff for the hard work. ??? Namhom Feb 21 2019 5:57 am I dont know why people say it is boring. For me I found this drama cute and romantic, even though story line is cliche. I love chemical between Dong wook and Inna. They are soooooo cute. Lauren McDonald Feb 20 2019 8:22 am I love this drama so much so far. The acting is so well done and I find my self going through so many emotions while watching. I know some people think it is cliche but I enjoy the romance and believe it will have a bit of suspense like Age of Youth and Suspicious partner. I cant wait to see this weeks episodes! drama24hour Feb 18 2019 6:30 pm as expected ..this drama have a great cast but the storyline looks so boring.. some scene remind me with other kdrama.. so cliche.. I'm watching this only for Lee Dong wook.. yoo in na acting sometimes over & cringy..
Secondarily I don't know what do yall mean saying that this drama is slow. It's a normal tempo for this kind of drama. We just got 4th episode so don't expect races and explosions. It all comes with time, and every drama needs time to grow somehow. Thirdly... Am I the only one who actually finds this drama really hilarious? I was laughing so hard in the first episode when she was reading the script. Foxy Feb 18 2019 9:07 am Love this film so much! How cute they are :3 It is beautiful couple ! Biulbu Feb 18 2019 5:59 am Omggggg i really love this drama.. Idkw some people say its boring while for me its so funny and exciting to see the story that build up so good this far. I always thought why this end so much after one episode while it's already past one hour huhu. Romcom with Heart and growth Feb 18 2019 12:14 am Don't listen to the ones calling this one just pure "fluff".¨ This is a story where the real story is about character growth amidst a romance and comedy and (insert the darker twist from ep.4 here.). Character growth getting hinted at, as well as the female lead already showing improvement and a quiet strength from ep 2. On the surface yes this might just look like a fluff, but when when you actually stick around to wacth the 1st 4 epsiodes you'll see this drama is really about how people grow and change when put into unusual for them circumstances. Female lead comforting the teenage girl and taking clients problems like her own, despite only being a temp employee with plans to only be a secretary because rehearsing a role. The twist in ep 4 also shows her strength. The male lead not as cold as initally and warming up more and more. Sorry to say this but the fluff is in the viewers brains who fail to look beyond the surface of the "only fluffy romcom" that the drama SEEMS to be, yet not actually is. Love it! Feb 16 2019 10:21 am OMG!! I knew it, from the first time I saw the teaser and the trailer I really hooked up with the story and of course I'm a big fan and one of the shippers of Dong-Wook and In-Na!.. from episode 1 up to the latest episode I keep on screaming in every Dong-Wook and In-Na scenes!! can't wait for the next episodes ^__^ fighting!!! I am here Feb 16 2019 12:44 am 4 eps in and yep I'm hooked. I wouldn't use the word 'fluffy' as some people have been using to describe this drama. It's more than just that. It encompasses more than the typical mushy cute kdrama storyline. The drama tells a story of two people from seemingly different worlds yet their chemistry together is more powerful than anything. And absolutely amusing yet adorable to watch. The girl is not stupid, naive perhaps, but she is definitely one heck of a smart woman. She reminds me of the main girl in the 90s movie Clueless. I wouldn't call the main guy/lawyer a jerk or obnoxious. He had his reservations at the start - naturally so - about this new girl who got to work due to connections. But by ep 4 everything has really fit into place. Can't wait to find out more next week!!! Sue Lee Feb 15 2019 12:43 pm I had expected the ratings to go down. Don't know why so many viewers outside Korea likes this but it's not getting good reviews from SK and I can see why. The script is so childish and boring and supporting actors suxk. Even Encounter was not so bad. Can't believe my fave Yoo In Na and Lee Dong Wook pick this project. This drama ruined what's probably their only chance to act together again. Urgh! Yoo In Na please pick something as good as Queen In-hyun and Goblin, please! Yana Feb 15 2019 6:27 am Did you guys know who’s the students girl real name in the 3 episode? seidoo_reiki Feb 14 2019 10:31 pm This drama is lovely, cute and adorable! Okay, people complained how this drama is so boring, but it's charm is not a complex plot, but a heartwarming plot. The characters it self are non-mainstream for most of rom-com. 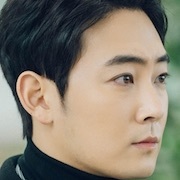 Kwon Jung Rok is not your everyday arrogant lead character, he is just cold and awkward, but he has a cute side of being clueless with woman and actually really considerate. And Oh Yoon Seo is not your everyday narcissistic actress, she is really warm, cute and innocent. They really fit each other! They have innocent growing love blossoming among them, not hate-love passionate relationship. It is steady and warming. And for people who loves plot twist, at the end of episode 4, something big will happen for sure! So stay tuned to it! yeri Feb 14 2019 9:26 am this drama is so great! fluffy like the cloud, sweet as candy and fresh like the mountain air... I love this drama so much. after watching sky castle this drama is healing me.... so lovey dovey. go watch this drama guys, no regret. Kharisma Feb 13 2019 9:23 pm Yoo In Na and Lee Dong Wook so cute??? i hope they're in real relationship??? Kiyowo Feb 13 2019 10:36 am I relly love this drama xixi, yoo in na is so beautiful and cute T.T, the ost that chen sang is the best???? Tinkerbell Feb 12 2019 6:33 pm Yoo In Na is a great actress. Enjoyed her acting since Goblin. dd Feb 12 2019 8:41 am Yoo In Na is so funny and the drama is so good, higly recomended. Asho Feb 12 2019 4:55 am Really good drama...thumbs up!!! Just see it first, and thanks to me later..
sleepyprincess Feb 10 2019 11:21 am I'm so inlove with this couple from Goblin and now they have their own drama. I rewatch two episode for like 5 times, now really cant wait for third episode and upcoming episodes. Nomatter what the plots going at this drama, i will so inlove with them!! ? Princess911 Feb 09 2019 8:09 pm Lee sang woo..... ? ? ? ? ? ? ? ? ? ? ? ? I'm surprised he's on it. Rovi Feb 09 2019 12:10 pm It's just Ep2 but I feel like the rising action has already started. Both of them are absolutely good-looking and they make a fit combination. I bet everyone fell in love with them from Goblin❤ Rooting for upcoming episodes. Strawberry Feb 08 2019 11:13 pm This drama is already soooo good! I love how their character somewhat resemble the roles they played in goblin! I’m already anticipating episode 3 - can’t wait for more!!! I actually think the 'comedy' part was very forceful. Highly exaggerated verbal slapsticks that gave me stripes down my temples. Rire Feb 08 2019 9:08 am Light, enjoyable and sweet. I've been really looking forward to this romance drama! I really love Kim Dong Wook + Yoo In Na OTP! Looking forward to learning more of the characters' backstories. Letdown Feb 07 2019 12:00 pm I was really looking forward to this because as with many fans of the 2nd couple of Goblin, I wanted a Rom-com from this two leads. But, it was a terrible letdown. This drama feels really... how should I put it... one dimensional? It was trying to be funny from the get go till the end of the 1st episode but I don't find anything funny. The director is not the best out there. The writing is also nothing outstanding. Maybe I put in too much expectation but I find it very boring. Compared to the same week rom-com that TvN put out (Romance is a Bonus Book) which is brilliant with touching, hilarious and great production from all crews, Touch Your Heart really falls flat. If there's a recommendation for the two, I guess based on some reviews, Touch Your Heart may appeal to glitz-loving teenagers (glam actress + cool lawyer) but Romance is a Bonus Book should appeal to some adult audience seeking something a little more sensitive and intellectual. Un modeste admirateur Feb 07 2019 5:08 am "Touch Your Heart" is an enjoyable drama. Yoo In-Na's acting is very cute, I can't deny. But I wish women in this drama weren't always portrayed dumber than men, and I'm not even a feminist or anything. 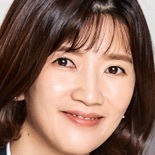 I know that the basis of the plot is that Yoo In-Na's character has never worked in a law firm, but still, I was expecting her to have street smarts and other hidden talents waiting to be discovered. Maybe they will be shown later on? For now, I've seen none. Ladya Feb 06 2019 8:11 pm Just finished watching the 1st ep. and i’m loving this drama already! It’s refreshing and funny. Also, Kim Hee-jung is so pretty! I hope she’ll get to star in more dramas after this! boombayah Feb 04 2019 10:55 am it’s funny after i realized that the ending from goblin was kim sun being an actress after her reincarnation. and wang yeo beside her as a detective. its relate so muchhhh from goblin? hope ji eun tak&kim shin will come as a cameo? Yuni Nuna Feb 01 2019 4:07 am I do not believe ! Yoo In-Na and Lee Dong-Wook are together again in one drama !!! 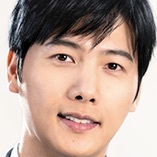 sor Jan 28 2019 6:56 pm Anyways Lee Sang Woo is more suited for long format family dramas I liked all his series as his character personality stays the same in all of them kind and caring type. CreatorWu Jan 27 2019 9:39 pm Dude, everyone should have been jumping at the chance to cast these two as main leads after Goblin. They had such great chemistry it's almost shocking that only now they end up together again. Yoojungie Jan 24 2019 6:16 pm This sounds like it will be cliche romcom but the leads are charming and endearing. Many OTP reunions didn't as successful as the first one,fingers crossed to this drama to become a good one. Well for romcom, even with a bad storyline, they can make up with many hot kisses to secure the fans' interest so that's it. Kris Jan 18 2019 9:28 pm I don’t think is another tale attached to Goblin series. Will watch this. Yomi Jan 15 2019 10:23 pm Can't they just fall in love and get married in real life? they look so cute together! slicemoon Jan 11 2019 1:58 am Can't wait!!! Panda Jan 05 2019 1:01 pm The director did this on purpose didn't he, the colour of Yoo In Na's mustard coat, Lee Dong Wook's tailored wool coat... and the bridge. This is like watching their reincarnated selves' love story. Cos Kim Sun's reincarnation was an actress and Wang Yeo's was a detective...lawyer is close enough XD. Strip Dec 27 2018 9:58 am This must be a cute as hell drama ??? cannot wait to watch it and i hope starting from this drama Yoo In-Ha won't choose anymore supporting role offers! Ivana Dec 25 2018 4:07 am SOOOOO freaking excited for this!!! B Dec 23 2018 6:21 am AYYYYYYYYYYYYYYYYYYYY, don't you just love when they listen to viewers. Giving us what we deserve, I can't waittt!!! J Nov 26 2018 5:17 am Sunny and Grim Reaper part 2!!! Can't wait! Lipika Nov 09 2018 6:23 pm Holy crap I might die of joy and excitement!!!! I loved their chemistry in Goblin! This is so exciting!!!! Literally when I saw their two faces my mouth hung open for a solid 30 seconds... not exaggerating!! Mitsy Nov 04 2018 9:38 pm YOOOOOOO OMMMGGGG -Agnes- same thing happened to me lol. I actually cannot wait!!!!!! Abbie Oct 28 2018 4:02 pm January?!! Why not now? We are all excited!! Momo Oct 27 2018 7:52 pm Eeek!! I’m sooo excited for this!!!??‍♀️?? Ahlyn Oct 27 2018 12:41 pm I can’t wait for this drama!!! I love both Inna and Dong Wook so much! This is going to be a hit! dokkebi chingu Oct 24 2018 6:15 am Can we please have kim minjae and kim so hyun for cameo now? Sapphire Oct 24 2018 5:07 am So so so so so so excited for this dramaaaa! CreatorWu Oct 23 2018 7:10 am !!!!!!!! Shandy Oct 21 2018 7:44 pm Daebak! Yoo In Na and Lee Dong Wook again Goblin Feels! OMG! January please come fast! dramawatcher Oct 20 2018 12:44 am Aw... our Goblin couple is back together but this time as the main leads. Yes! Can't wait for this! Myca Oct 19 2018 11:11 am I'm sooo happy! I hope the storyline/plot will be good! Thank ypu drama god and TVN!! ??? Widi Oct 19 2018 5:56 am Yes yes yes yes, thank you tvN? Lee dong Wook and Yoo in na??????? yeonani Oct 19 2018 5:26 am Finally !!! They accept the role.. Can't wait ! Jihyo Oct 19 2018 3:59 am They accepted. Yey!!! Zain Oct 19 2018 3:41 am Yayyyyyyy finally !!! Ijaaa Oct 19 2018 2:32 am Finally !!!!!!!!!!!!!! Chikin Oct 19 2018 1:07 am OMG Yasssssss!!!! Katie Oct 19 2018 1:00 am Omg! Yes! I'm so excited! Sylver Sep 23 2018 7:39 pm lol Does this not remind anyone of their characters in Goblin, when they were reborn as an actress and a detective who was helping her research for the role? Shandy Sep 19 2018 7:23 pm OMG Lee Dong Wook and Yoo In Na please both accept ._. OMG if they both accept this they will be both reunited on their goblin chemistry Please Please Please Please! airine Sep 19 2018 7:56 am I hope they both accept it! Their chemistry is great in dokkaebi.